The Mercian Collaboration RDM Special Interest Group exists to provide local and regional support and a forum for exchanging experiences and challenges in providing RDM services and tools. We hold two face to face events/workshops a year, and last month we held a successful and well-attended event which focussed on the skills required to support RDM in University libraries, explored the different channels and opportunities for professional development in this area of research service activity, as well as ideas on how we collaborate with other colleagues and stakeholders within our institutions. 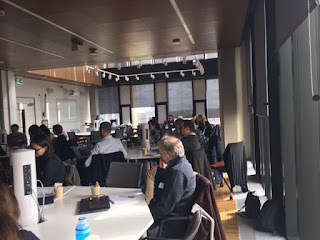 The event was focussed on the skills needed to support RDM in University libraries as well as examples of professional development and collaboration with colleagues in library services. 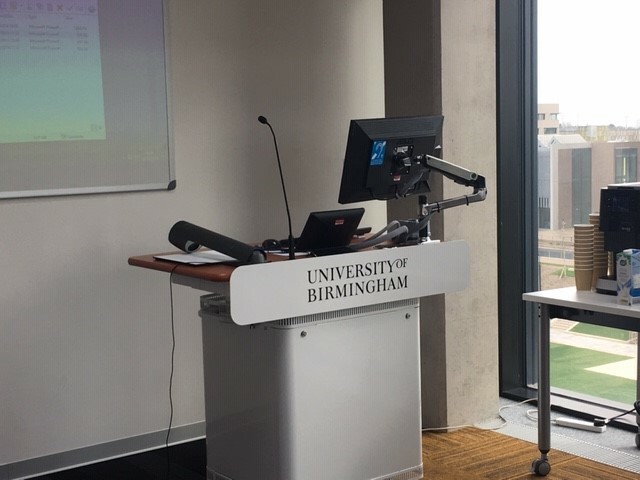 The event was held at the University of Birmingham main library and many thanks to Patricia (RDM SIG member) for hosting, organising, and facilitating such an interesting event and in such a wonderful location. We invited a range of speakers who gave us much to think about and helped inform our discussion topics in the breakout sessions. I am going to pick out a few personal highlights from the day, which I found thought provoking and made me reflect on how RDM priorities and activities have changed since I started working in the RDM service area in 2013 and many innovative and different service models are now in place, yet still some grand challenges remain! "Rebels with a cause...rebels without applause"
Dr Eddy Verbaan, Head of Library Research Support at Sheffield Hallam University was our keynote speaker and he began his talk with a call to all of us to think about what skills were required to enact the data revolution - and to reflect and celebrate on what we have achieved so far, and to have a critical eye on our planning, service priorities and strategy when we think about what we still need to achieve. We understand our roles in preserving and curating the digital assets and outputs of our institutions, but what are we doing to ensure that they are discoverable and made available to others for re-use? We need to always be aware that different disciplines think differently about research data and the language and terminology we use needs to be adapted to the context/discipline we are working in/within or are supporting. Eddy also covered the drivers for RDM, force field analysis, cultural change and research culture, and he outlined why he thought that of all the drivers, research integrity is the one that works best with his academic community, and is the one we should base our advocacy activities around. Eddy asked us to think about organisational and cultural change and what it means for RDM by exploring 'The iceberg that sinks organizational change' and the Kurt Lewin's Change Model of 'unfreeze, change, refreeze' and we reflected on some of the missed opportunities we have experienced, such as fragmented RDM infrastructure, compliance vs enabling advocacy, the open data agenda, and of course lack of academic engagement with data repositories (both deposits and downloads). The skills and roles we require should allow us to move the RDM agenda along into a more active (not frozen) service state, and we must remember that RDM is not solely a 'library' issue/challenge, but an institutional one. Roles may be intraprofessional and increasingly the successful RDM services are those that have a disciplinary focus rather than a generic one. What would an embedded RDM role look like and are any of us at this stage of RDM service model? The resounding response from attendees was NO - but we acknowledge the value of disciplinary RDM support, as provided by the data stewardship model at TUDelft. Are we the rebels without applause? Eddy outlined that some of the LIS competencies and skills we already have, such as creativity, resilience, perseverance, patience, and partnering and engaging with our academic colleagues, puts us in a strong position. There was so much good practice and useful tips and quick wins to take note of from of all of these three interesting institutional offerings around RDM, skills, technological challenges and infrastructure, academic librarian research support confidence checklist, and a research data competency framework for researchers. Mike described the work Birmingham had done around a skills gap analysis of professional service support for RDM (still very much a work in progress). 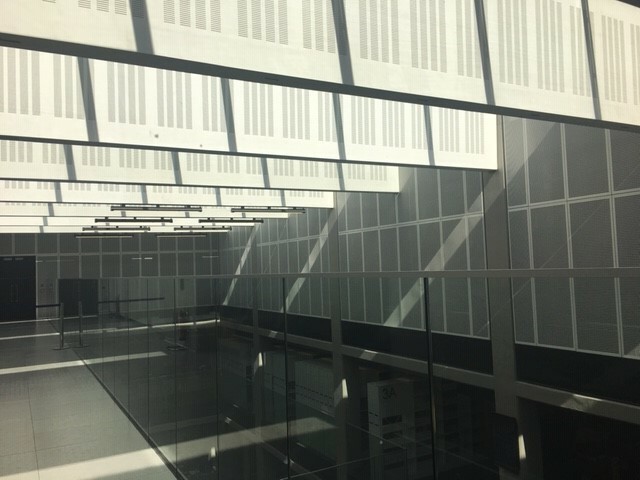 He detailed some of their activities around the data repository, archival storage, related institutional policies, community engagement and training, and the channels of support for their researchers. The issue of sustainability of RDM services, single points of failure, the value of a RDM champions approach, and the levels of confidence that staff may have when supporting RDM. For example, they feel that they have significant confidence in providing data management planning support, but not necessarily as much confidence in data preservation and data collection and analysis. Mike outlined the work they had done on their excellent research data competency framework for researchers, which adapted a research lifecycle approach and is based on the work done by Purdue University Libraries on their competency matrix for data management skills. Helen described the timeline and context on how Loughborough have built RDM capacity and capability, and in particular the role of their academic librarian's in supporting each stage of the research lifecycle. She described the work they had done on their academic librarian confidence checklist for research support, which includes specific competencies around collections, literature searching, funders, indicators, research visibility, research data management, open access, the institutional current research information system (CRIS), and professional services key stakeholders. The academic librarians lead on the library partnership model/engagement with schools and very often it is this team that act as facilitators of the conversations with the research data manager and their research community. Helen acknowledged that some of the challenges are around building confidence and keeping up-to-date in such a constantly changing environment, the competing demands of a multi-faceted role, unfamiliarity with actually doing research and collecting data, and making time to share experiences and co-delivery of training in RDM sessions which may cover topics that they may not be comfortable doing. I thought this checklist was such a useful tool and also that they invested in time and resource to accommodate external training on positive influencing. Great idea. Scott provided a really useful insight into some of the challenges and also the quick-wins around trying to build RDM service and capacity at Keele. Scott describes it is his role with the institutional repository that led him to working in RDM, as he said "..nothing in my job description about RDM, but I am the institutional repository person, so RDM falls to me..". He described how technical issues around integration of research information systems can be costly and also take up a significant amount of time and energy (most of which is invisible to other colleagues). Keele had their RDM policy approved in 2018 and they are trying to address the RDM technical challenges and enhancements first and they aim to have a dataset registered/obtained for each REF Unit of Assessment (UoA). This is impressive and I am really interested to see how this activity progresses. Scott also described how he is thinking about the next steps. 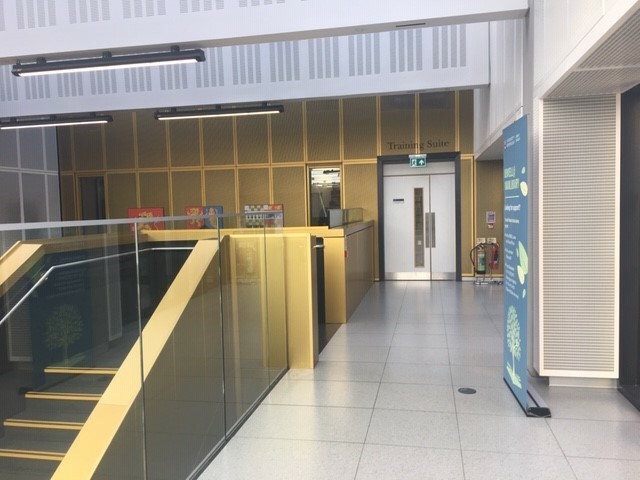 These include: self development and skills enhancement for RDM, audit of existing datasets produced by Keele researchers, and a more formalised approach to RDM roles at Keele. Do RDM support services require disciplinary expert roles? Have we moved from an initial compliance-led RDM service model to a more enabling and encouraging approach? Single points of failure - many institutions may only have 1fte to support RDM - what happens if they leave, who progresses and takes on the work? RDM engagement and advocacy - for some it isn't an institutional priority during a REF period - OA administration and workflows are the current priority for many research service teams. Has OA become a distraction? 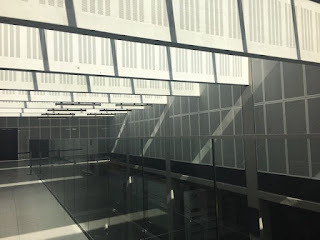 Will RDM always be library-led? Is there a possibility that other key stakeholders will take on the service component in the future, as services and tools mature? RDM practitioners are not a sideline in the library service portfolio - we need to ensure that we are mainstream! 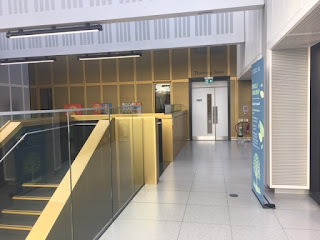 With thanks to my University of Leicester Library colleagues Keith and Radek for sharing with me their notes, feedback, and images captured on the day. All of the presentations and associated documents produced on the day will soon be available for the RDM community from the Mercian Collaboration RDM website.